The SERP team was out in force last weekend to engage with bikers who participated in the Essex & Herts Air Ambulance Trust’s biggest annual fund raising event on Sunday 6 September. More than 5,000 riders took part in the 16th annual Essex Air Ambulance Motorcycle Run and Harwich Family Festival – a 60-mile ride from Ford Dunton Technical Centre in Laindon to Harwich. At the start riders and visitors were treated to three spectacular performances by the Bolddog Freestyle Motocross (FMX) display team, as seen on Britain’s Got Talent. Hundreds of people lined bridges over the A12 to cheer on the bikers and wave as they rode past and as they crossed the finish line at Harwich they were greeted by 2,000 spectators including the Mayor of Harwich and Councillor John Aldridge, Vice Chairman of Essex County Council. 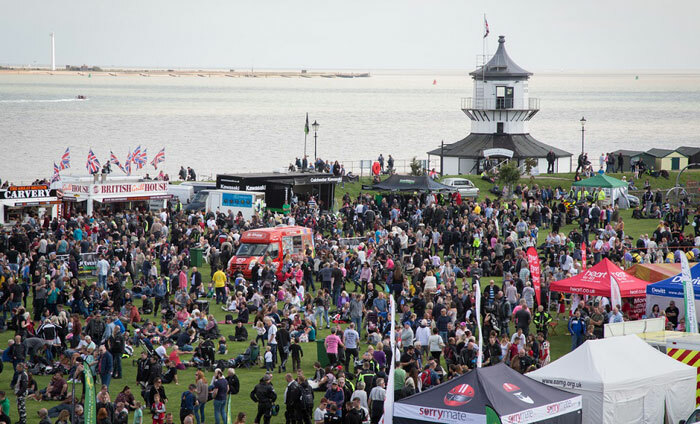 There was a fantastic atmosphere on Harwich Green as the 8,000 strong crowds enjoyed the sunshine and were treated to live entertainment throughout the afternoon. 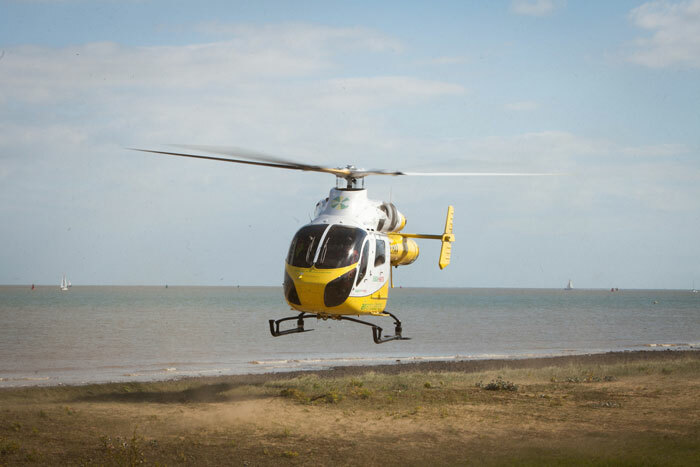 During the Festival, supporters were asked to watch a video telling Kate’s story, a previous airlifted patient who was the victim of a serious road traffic collision to remind them of why it is so important to raise vital funds for the Charity. The SERP Community Wheels vehicle was at Dunton to meet and greet riders as they arrived, while the Hugger campaign trailer, complete with with three fire bikes and four Essex Police riders, were at Harwich at the end of the ride. Matt Clarke, SERP’s Communications Officer, said: “Motorcyclists face particular risks and, unlike a car, a motorcycle offers very little protection to the rider in the event of a collision. Therefore, even if death is avoided the injuries sustained can be very serious. “We used the event to promote the importance of extra rider training as part of the Essex Hugger campaign, in partnership with other stakeholders including motorcycle dealerships and advanced motorcycle groups. ‘Essex Hugger’ is the SERP motorcycle safety campaign, designed to promote motorcycle safety across the county and encourage motorcyclists to undertake further/advanced rider training. The ‘Hugger’ character is the face of the campaign whose name comes from the rear mudguard on a motorcycle. Hugger provides specific messages and information for motorcyclists encouraging them to undertake further/advanced training to improve their skills and ultimately, their safety. In addition, Hugger directs important messages to other road users to look out for and be more aware of motorcyclists. Wendy Marcon-Knightley, Sponsorship & Events Manager of Essex & Herts Air Ambulance Trust, said: “We are delighted with such a fantastic turn out of bikers who made the most of the autumn sunshine. 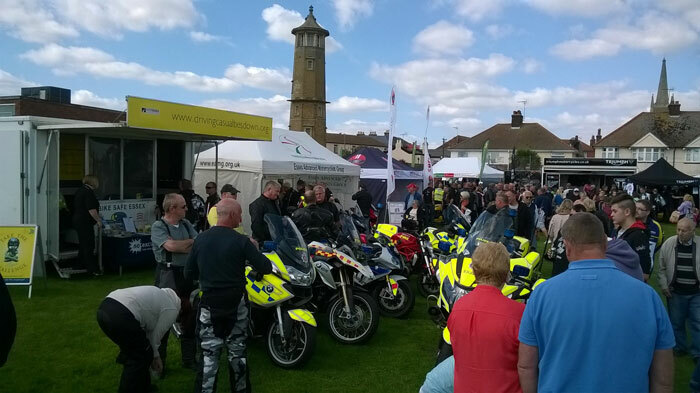 “We work very closely with Essex Police on promoting road safety and endorse any measures taken by the police on the day to ensure the ride remains safe for all road users. I’m happy to say that the majority of bikers did ride in a safe and respectful manner. The event has so far raised in excess of £35,200 for the life-saving helicopter emergency medical service.